Ever dream of the seaside? 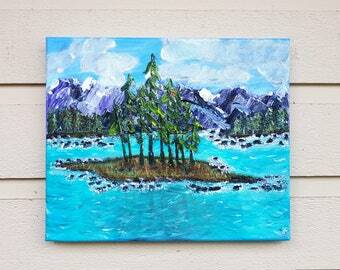 This painting is of the Westcoast of BC where I'm lucky enough to live. I call it "Peace". Measures 10 x 8 x.5 inches (26x 20 x 5 cm) and hangs from the open back. This listing is for the art in the first few photos- the other art pictured in the photos are of other pieces available in my shop! 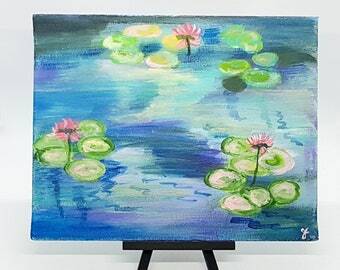 The colors in this painting are meant to inspire peace in your decor. 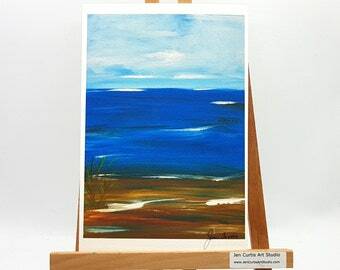 From the pale blue and white sky to the deep blue and green water and the green and brown grasses growing on the sandy shoreline I've tried to instill a calmness in this art. I've used a combination of acrylics with a touch of watercolor paints and used a slightly impressionistic style. 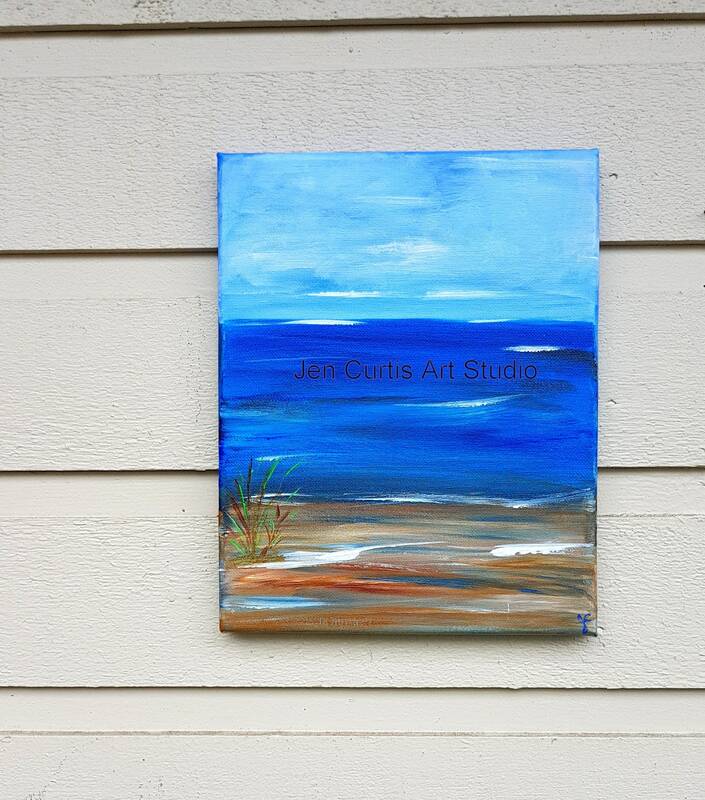 Would make a lovely piece to hang in a cottage or cabin. 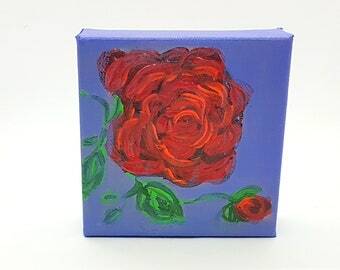 Great for Mothers Day or as a housewarming gift. Some important details - all computer screens are different and I have taken indoor shots with LED lighting (reading more green) and outside shots (reading more blue) in natural lighting to try to give you an idea how the colors may change in different light. 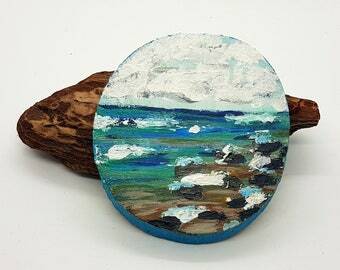 Mini Art piece - does not come framed - This canvas is open backed for hanging directly from nails or I can add wire on request. You may also have it framed at a local craft store or framing shop. ~My acrylic art paintings are all hand painted. ~Each piece is sealed for protection. ~Each piece has my initials on the front or back. For cards and bookmarks made from my original art work, please visit this section of my shop..